Mindful movement tailored for your body. Life long lover of mindful movement and expression, Bess founded Golden Isles Ballet Company LLC and the GIBC Foundation in 2015 to bring more ballet art and performance opportunities to the Golden Isles. 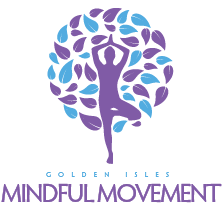 In addition to GIBC, Bess created Golden Isles Mindful Movement, a yoga, pilates and barre studio dedicated to the mental physical and emotional wellness of every client. GIMM provides the highest quality instruction for clients of all experience levels from beginner to seasoned practitioner. She Received her undergraduate degree in Learning and Organizational Change from Northwestern University, her graduate degree in Exercise Science and Nutrition from The George Washington University. She earned her 800 hour Pilates Certification from Excel Movement studios in 2004 and Her 200 hour CYT from Asheville Yoga Center in 2014 and Core Barre Certification in 2013. Her passion for movement and learning led her to take Ballet class for the first time in 2013. She has performed in several ballets for GIBC including the Nutcracker and Golden Gala, as well as collaborating with the Coastal Symphony of Georgia under the direction of Maestro Luis Haza for Spectre de La Rose, Sugar Plum Pas and Tango en Pointe. She is so appreciative to continue to learn from her Yoga Instructor Janita Nelson as well as several continuing education programs in Kundalini, Yin, Restorative yoga, Pilates, Barre, and Meditation. She is excited to continue learning and evolving and is so grateful for all of life's beautiful experiences. To see our sister site for ballet, please visit goldenislesballet.com.